To call the eye a complex organ would be an understatement. That complexity is what enables us to see, but it’s also what creates a diverse range of conditions that can impact the quality of your sight. Understanding these conditions and the treatments available for them is vital for knowing when to speak to an eye care practitioner. Keratoconus, a condition affecting the shape of the eye’s cornea and causing long-lasting impacts on a patient’s quality of vision, is one such condition. 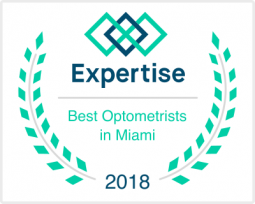 The most exterior layer of the eye, the cornea is both your eye’s first line of defense and a critical factor in focusing the light into your pupil and ultimately onto the retina. In a patient with keratoconus, the cornea weakens and becomes thinner, eventually becoming too weak to hold its semi-spherical shape on the eye. The result is a gradual change in the shape of the cornea. This gradual change typically involves both eyes, although asymmetrically. In time, these changes transform the cornea into a cone-like shape, lending this disease a portion of its name. 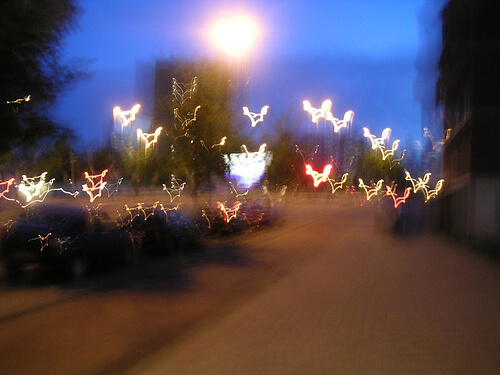 Individuals with keratoconus often experience near-sightedness, blurry vision, distorted images, and extreme glare when viewing lights, especially at night. The condition is usually not painful, but can have a significant impact on an individual’s visual acuity. In the past, rigid gas permeable (RGP) lenses were believed to halt the progression of keratoconus, but today we know that is not true. In fact, RGP lenses can prove to be uncomfortable and irritating for individuals with keratoconus. Instead, scleral lenses are a better solution. Instead of resting directly on the cornea, these lenses feature vault the cornea completely and rest all their weight on the sclera — that is, the “white of the eye.” By avoiding actual contact with the cornea, scleral lenses achieve better comfort while providing exceptional stability and the vision improvements patients desire. While scleral lenses work to help improve vision, they are not a “cure” for keratoconus; they are simply a superior and more comfortable option for correcting vision with this condition. It is possible, however, to slow the progression of keratoconus and strengthen the cornea to prevent more long-term changes. Corneal collagen crosslinking, or CXL, involves a simple in-office procedure using vitamin B2 drops. UV light activates solution and induces natural collagen fibers in the cornea to re-link with one another and become stronger. While some patients experience vision improvements following CXL, scleral lenses will still provide the ideal long-term treatment option while CXL stops its progression. One patient spent nearly a decade wearing RGP lenses as her keratoconus worsened, until eventually, she could no longer use them comfortably. What followed was several years of extremely poor vision until the patient received custom scleral lenses. Their stable, comfortable fit yielded better results and immediate improvements in both eyes. Other patients experienced severe dizziness owing to their keratoconus which scleral lenses helped resolve, while one woman noted that she was often able to work 16 hours days without any irritation from her lenses — something that was not possible with her previous RGP set. Are you concerned you may have keratoconus? Have you been diagnosed in the past and wonder whether scleral lenses or collagen crosslinking will be the ideal treatment methods for you? Reach out to the Weston Contact Lens Institute today; we can help. With expert experience and a deep understanding of fitting custom-made lenses for keratoconus patients, we can open the door to more comfortable lenses and more consistent vision. To request an appointment, please reach out to our staff today.